IT support is crucial in helping companies to get the most out of their computer systems. When IT issues inevitably arise, having good IT support on hand allows companies to stay productive and limit disruption. IT support generally entails a broad range of computing operations, including the likes of server maintenance and software deployment. Due to both the necessity and complexities of IT support, the task can become a significant burden to companies. With the advent of cloud computing however, IT support has become much less of a hassle. Many companies are now moving to a cloud platform in order to benefit from the many advantages on offer, including simplified IT support. Here are some ways in which cloud computing has changed the world of IT support, and how this can greatly benefit businesses. 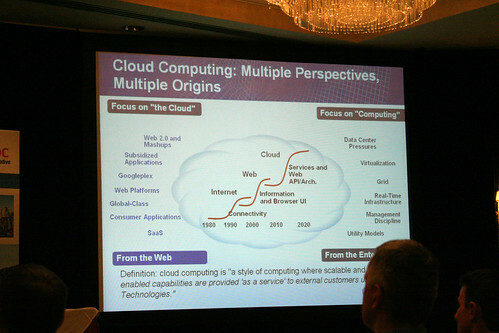 Using cloud computing entails the virtualization of IT services on remote servers. One of the excellent benefits of this cloud virtualization is that companies can access their IT resources from any location, at any time of the day, provided internet access is available. The ability to access company resources in such a way is ideal when working from another region or sharing resources with company branches across the globe. Opting to virtualize IT resources in this manner can make life a lot simpler for companies with regards to IT support. Instead of having the responsibility of the maintenance and repair of in-house IT systems, the cloud service provider will perform this task at their end instead. Removing the need for comprehensive in-house IT support or outsourced engineers can lead to significant financial savings for companies. When it comes to company growth and modernization, increasing the amount of IT resources to meet new demands can be quite a challenge. Expanding networks and replacing old server hardware can be an expensive undertaking, as well as a time consuming one. With cloud computing however, this somewhat difficult process simply isn’t required. Instead, cloud service providers can simply allocate extra IT resources to companies almost instantly and on demand. With the ability to scale resources to meet company demands in this fashion, companies can avoid the expenses associated with buying new hardware and hiring the engineers to implement it. This flexibility with resource allocation is also great for companies who want to downsize their computing operations. Instead of having to dispose of redundant hardware and pay for the physical labour involved, the cloud service provider can quickly adjust IT resources to suit the company’s needs. Security is a major aspect of IT support, and an area that must be approached thoroughly. Usually, there is great expenditure involved with securing company computers and networks, in order to prevent unauthorised access to systems. IT security is even more of a concern for companies dealing with sensitive customer data. Cloud computing offers an easier alternative to staying secure. Although companies will still need to implement some level of protection on their own hardware, cloud service providers will take care of securing their servers and networks. This means that companies can direct their attention to productivity instead of security. IT support has certainly undergone a dramatic change since the advent of cloud computing. With a large portion of IT support taken care of the cloud service provider themselves, companies can reduce their expenditure on IT support, whilst still having peace of mind. Removing the complexities of IT support but retaining full functionality, cloud computing is making business IT a lot simpler. By IT writer Bradley Houston, who recommends http://www.cheekymunkey.co.uk/ for all your IT Support and cloud computing requirements.